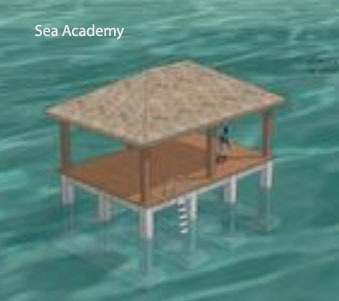 The Sea Academy project will be set up in 2019. It will bring real solutions, involving local populations of all ages to reverse the trend of over-exploitation of resources. It will also go to revive the economic activity of Shark fin Bay on the island of Palawan in the Philippines. With this project, the research will also be able to make a big step forward in the analysis of self-sustaining and sustainable fisheries for isolated populations. Our financial and technical partner is the VEOLIA Foundation, FFEM, ECOCEAN, SEASTEM and CRESSI. Race for Water, an avant-garde vessel, will come to meet Sulubaai foundation during the PHILEAS project. This expedition will assess the plastic pollution in the South China Sea (Philippines), recognized as one of the most polluted in the world. 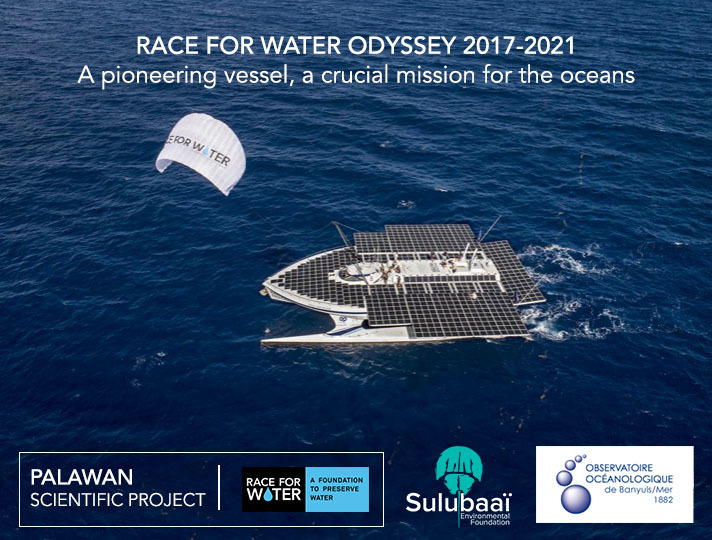 Race for water offer innovative solutions to transform plastic wastes into energy, to change to a sustainable energy, to contribute to scientific studies and raise awareness in order to preserve our oceans. For this event, a scientific mission will be realized with the Observatoire de Banyuls sur mer (France). 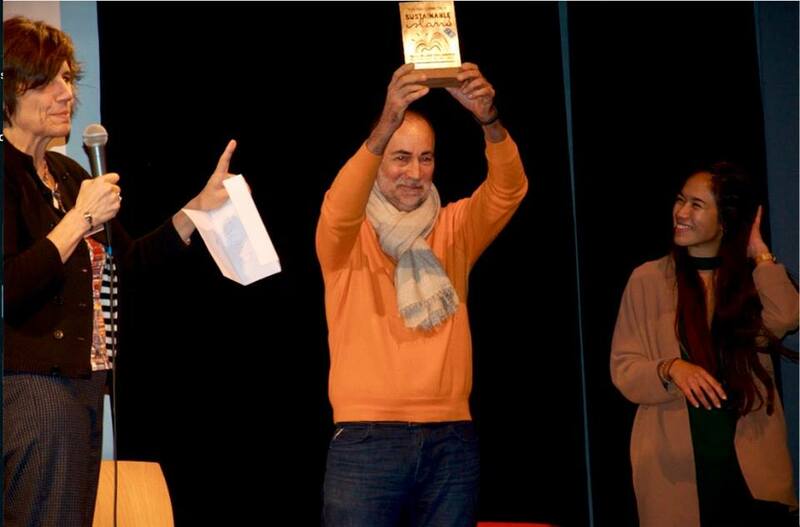 SMILO « Small Island Organisation » award us the first international label for our exceptional work for land restoration, ressource management and our ecosystem conservation. Pangatalan become a real sustainable island example for the insular world. 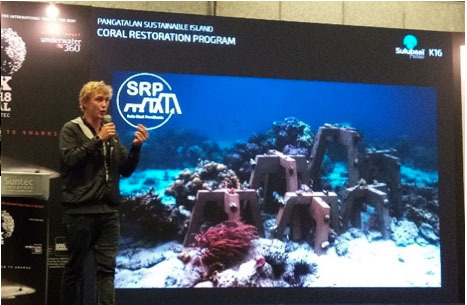 Singapour, ADEX – Dive show: Thomas Pavy present our coral restoration method during the ocean conservation convention. For the “Celebrate Island” event, we inaugurate new water tank for Depla village. This tank will allow to more than 300 inhabitants to have potable water directly to their house. TARA, a scientific research ship that sails across the globe came to Palawan on our island Pangatalan from January 29 to February 7, 2018. Their mission is to study the state of coral reefs in response to climate change and to the pressure of anthropic activities. 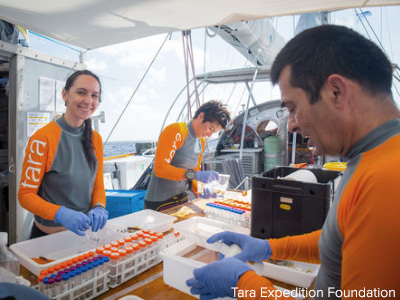 The fruits of this expedition will provide new data for the scientific community in order to solve the world’s environmental problems. We welcome Ecocean for post-larvae studies, Andromède Océanologie for photogrammetry of coral reef, Chorus acoustics for ecosystem sounds records and L.Ballesta and his team for a documentary on horseshoe crabs. 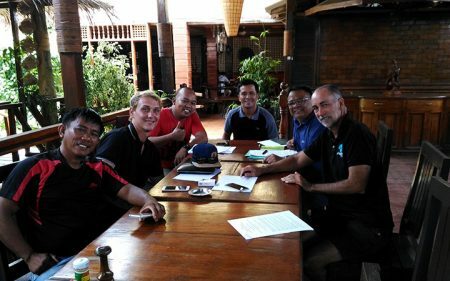 Signature of a Memorandum of Understanding with CTI-SEA (Coral Triangle Initiative-Southeast Asia) to commit a partnership with fishery committee of Taytay and local government for the protection of specific zones in Shark fins bay. Official launch of our foundation with our two devoted ambassadors, Guillaume Néry (Freediving World Champion) and Odessa Bugarin (Freediver, Mermaid and active conservationist). 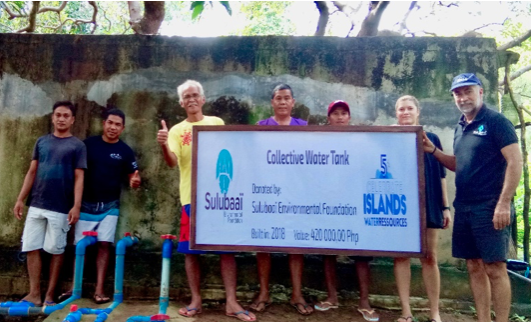 The event took place on Pangatalan Island with the collaboration of the Municipality of Taytay, Freediving Planet, the Department of Tourism and Studio H2O. We presented our SRP Method (SuluReef Prosthesis) in order to fit our needs for the coral reefs restoration in the area. 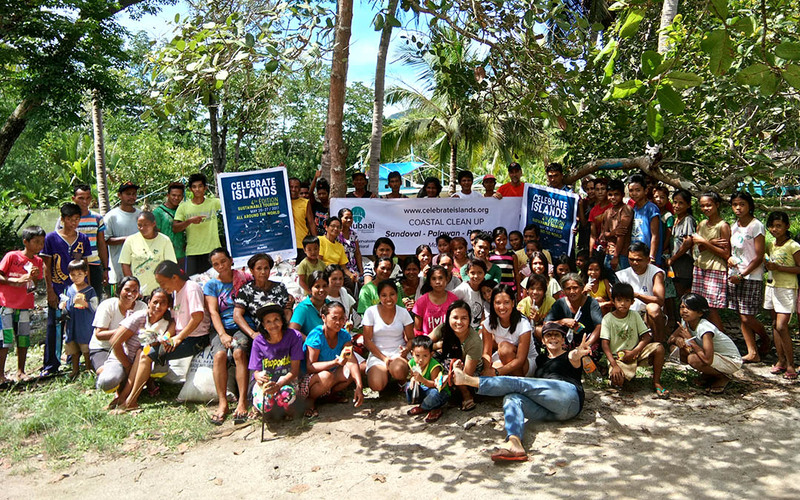 For the Celebrate Islands” festival, we organized 3 Coastal Clean Up in Depla, Silanga and Sandoval village. With the help of the inhabitants, we removed 2 500 kg of garbages and we were really impressed by the number of inhabitants that joined to the move and really glad to see all the kids participating actively. The Pangatalan Island Marine Protected Area (PIMPA) was created and implemented. Today, there are 12 ecosystems in the area, a highly diversified environment. The Marine Protected Area is defined as a “No-Take Zone”, an area where no form of extractive activity such as fishing, hunting, logging, mining, and drilling is allowed. The Sulubaaï Environmental Foundation (SEF) designed and engineered the SRP modules in 2016. These are durable modules made of reinforced concrete that aid in natural reefs resiliency and coral regrowth.The SRP modules serve as structural prostheses on coral reefs, where mortality is high and structural strength was lost. We only focus on broken or unstable reef colonies, and help these regrow by attaching them to the SRP. When we first took over the island, we found some areas in a deplorable state with 33% (or 0.85% of 2.5% hectares) of the mangroves within PIMPA depleted. Today, our mangroves on Pangatalan Island are diversified with 12 species of plants. 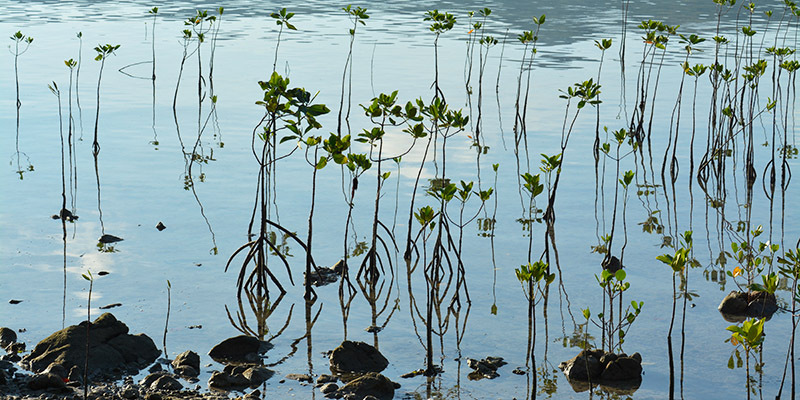 Mangroves are not only home to marine life; they also prevent sediment runoff and increase shore stability.